How To Save Money On Low or Small Income, here we discuss the best ways. 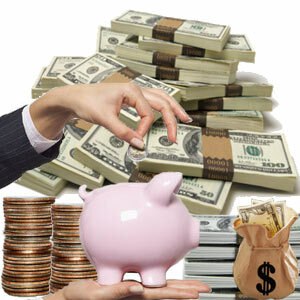 Financial starter, no problem when and where you have started your journey to financial security, all need to know is that it’s never too late. Sometimes it takes too much of time for the first step, but once you took it things start moving in your favor. Yes! To acknowledge first step is the hardest decision. So we created these heading which is for one and all to start saving from today. Though none of them is an instant life changer but will definitely make up a difference once you take few of them as a must do habit. They are too simple to follow. Well, its not free fit i.e. Not all tips suits everyone so choose your fitting and apply on yourself. When you start you will quickly seem to enjoy the benefits. 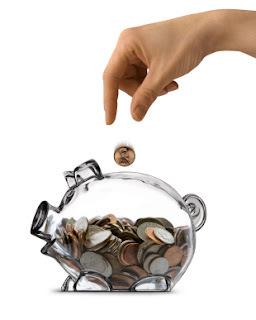 For your ease we have categorized Ways to Save Money Tips under three heads depending on the ease of doing them. It includes moving your bank accounts to take advantages of all offers; rewards and perk also earn more interest by just switching your account to another bank or more attractive schemes. Sign up for every customer reward, point program whatever your saves money. Kindly cut down on your television it will not only cut electric and cable bills but also keep you at a bay from alluring spending inducing ads; and also will give you more time for activities like side business. No cluttering, its time to start maximize your yard sales. Not all people have collections that can make them millionaire. So please check with clear brain and start cleaning up sell and earn money. Invest this in some profitable schemes or deposits hence let your money attract more money. Start getting creative; makes gifts for yourself and your loved ones. Believe us a tag less home made gift will earn you much warmth and kindness than a fat tag. Are you a shopping monger, if ‘yes’ time to make lists stick to them, and also exercise a 30 days rule don’t buy if not urgent or at least 10 minutes before buying. Start avoiding malls you know why. It will stop further cluttering as well as save your pocket. Party at home; make efforts for friends and family. You will have a blast, time to play cards, make noise and satisfaction of work well done. Master three ‘R’s Recycle, Reuse and Repair – make vase out of these empty bottles, use biscuit empty boxes as gift boxes or snack boxes. Repair your clothes yours, an easy task to learn. Try replacing bulbs or fuses you. If a typical problem get it repaired instead of replacing them. Don’t spend more on entertainment of yourself or children. Try gardening, cycling or playing together. Not only good time but few memorable memories are created together for a lifetime. Drink more water keep you hydrated, help you loose weight, and help cut on food if taken one hour before meal. Better health with time to time water. Buy games, video games, picture CDs that have more replay value and don’t buy another unless either you have mastered or you really need to do so. Swap them with your friends. Share with your rental libraries or you can sell them at discount and buy another at the same. Cut on fast food, processed food and instant food they toll your pocket then to reduce fat join a gym and visit doctors everything taxing you. They make manufacturer pocket fattier and you fat. Make a quadruple batch of food especially if you are working women this is time saving, economic and easy way to get healthy and hygienic food. On weekends try to good your own bread, taste your delicious effort. TURNOFF lights when not using replace ordinary bulbs, tubes with power savers CFLs, LEDs. Though LED cost more but its efficiency to lighten up and power saving is maximum. Use quality appliances with BEE starring to save on electricity. Install solar cells or solar geyser, if possible a solar thermostat a programmable too. Clean or change your car’s air filter, it will make your car 7% fuel efficiency. Just follow the manual it’s real easy. 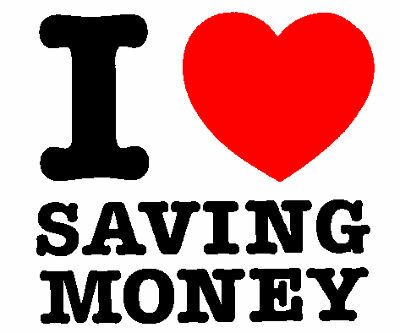 Before buying card or fund or policy even grocery COMPARE, the secret of effective buying hence saving. Find yourself a cheaper grocery store prefer a nearby to cut on petrol cost or a store which offers free home delivery. Try sharing your dreams and goals. They will encourage you and help you stick to them for a longer time. Soon it will be able to achieve you goal and share more warmth and closeness with you loved ones. Credit card is a global problem. Genuine advice stops using credit cards but in case can’t, start negotiating good deals that offer minimal interest or 0% interest or no rental fees. Don’t keep your credit card number handy remove it from your online account where it is easy to click and order. Buy used when you can. If you know that you temporarily need something why go for new get your work done by a used good state product. That will save you money and you won’t feel bad when you need to discard them. Quit smoking. Tobacco is high on your health and your pocket beside to remove smell one uses fresheners. Cancel unused club memberships, actually we would suggest that use only one good club where there are all facilities. One roof gives you all with rewards time to time bonuses that is best choice for you. Rest leave. Take out time and help others physically, offer help to elderly, neighbours with small children. Possibly few people might reward you in kind or may be no rewards but next time you need care you need not worry about who will take care of you, now you have guardians. Join voluntary groups may be beside goodwill you will earn some EMIs. Have you ever thought of buying your regular medicines etc. of generic brands? It is almost 50% cheaper than there normal supply. Term Insurance an intelligent choice but compares and go for a cheaper policy of same value. It will keep you safe in lesser amount hence saving for further investment. Keeping a lifestyle is easy but maintaining one is the real catch. So instead of lifestyle stuff, stick to reliable, efficient things even if its car. Maintain your reliable though not jazzy gadgets. Rent out your unused space in your house or on your property. Use your garden as kitchen garden and eat and serve healthy and fresh. Create a visual reminder or mark dates on your calendar of debt or dates due foe any EMIs. Cancel magazine, Papers subscription which you are not reading and these magazines are piling up in your living room. Cancel all such useless expenses. Start having king size breakfast so that after some time hunger pangs doesn't start and avoid the tempting expensive lunches, so without using much money you can remain fit the whole day. Once you start with helping others with baby sitting, take the next step swap babysitting with neighbours. Help thy neighbour is an important lesson of all religion. Get inventive make new spicy recipes with the leftover, like frying rice with onions and tomatoes, or try making Chinese fried rice. Use wet pulses to kneed protein rich breads. Dress decent, minimal means don’t pose a model coming straight away from a showroom. Why to have so much that need all attention. Keep less stuff easy to maintain when seems outdated discard and buy few new so you always have something new to put on. Want to have fun, why not try few charitable events. Next time check for certain free events in town visit them enjoy them if seem worthy join such activities. If you pay handsome amount out of your pocket for rent than look out for something economic modest and suitable place near any of your utility place. Ever tried public transport go out and use it at least once a week, will save your money and once in a while seeing different people will connect you to society as well. Use crackpots which take time to good but use lesser fuel. Put it on stove when you are home the food is cooking tastier and with lesser food. Going on trips, pack some snacks and possibly lunch for the trip. It will be a picnic whenever you feel hunger pangs you need not halt as you have something to munch on. Surely you will enjoy without hesitation it’s healthy and fit to eat. Now after cards the money eating monster is your cell phone. Please check on your bills which all services you are paying for. Stop the services you don’t use or intend to discontinue. Check on new packages economic schemes. Studying or working with a student loan or a personal loan. Consolidate all of them together make a planner of each with due date and amount and also decide when and how much to keep for each then make your budget and keep all necessary bill amounts in different envelopes so that no bill remains unpaid. Want more books. Find out a library where you can find and use it to maximum i.e. squeeze it to make your knowledge bank full. Everyday is a new day so find daily inspiration for making intelligent moves with your money. 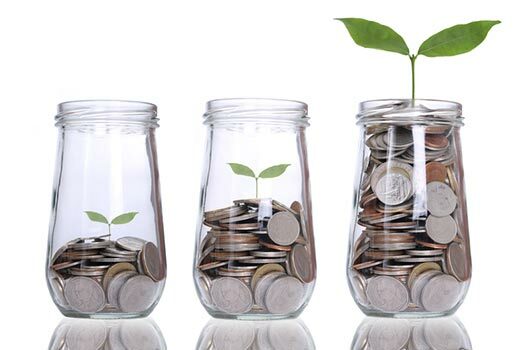 Since you are a beginner don’t play for instant growth but make good use of certain advices or put the money in safe deposits unless you are sure of any other scheme. Biggest point being KYC Know Your Company, a place where you work find out what other facilities does your company offers besides salary house rent perks or bonuses, some company offers furnishing loans with negligible cuts , 0% personal loans, Car maintenance allowance once a year or sometimes home loans certain leases which come handy. Ensure you take benefit of all of them which you are entitled. Drive safe not only to keep you safe and steady but it also increases vehicles fuel efficiency. Low wear and tear so low maintenance cost. Take a different route to work to avoid the monotony and frustration of route. Seeing different scene will reduce your stress up to 50% lesser. Happy you are happy everyone associated including your pocket. Don’t hesitate ask for discounts, fee waivers, even work hard to it. Negotiate wherever whenever possible negotiation is the final rule. Before cracking any deal go online and compare as much as possibly. Use a brutally effective comparison strategy so that you will save quiets a lot to spend later. Don’t overspend on your holidays, pre-book at minimal season booking will cost you a fortune so either plan in advance or make innovations. Try travelling rewards or travelling deals or going flatly adventurous to make it a wild action trip using camps and having bonfire fishing and all unseen adventures you ever wanted to do. Don’t waste your time on bills submissions, don’t hire agencies for it either instead uses your banks free bill payment services so that you need not bother just register your biller your policies so that its banks program to give bill amount to them and voucher to you. Don’t act hard and harsh if you have made any mistake. You are a toddler in this financial journey you oath to make few mistakes. Always look ahead, the past is no more so think ahead step ahead make new efforts learns from mistakes. Now a piece of work NEVER GIVE UP come what may. Victory is with him who keeps fighting. Good Luck to Save Money!